The Chiba Elementary and Middle School was built by Korean forced laborers who had been taken to Chiba and nearby places in Japan. Upon being liberated, they wanted to make sure that their children learned the Korean language, history, and culture in Japan. The school opened on September 13th, 1946. In December 2016, the 45th Student Art Exhibition was held in Chiba. 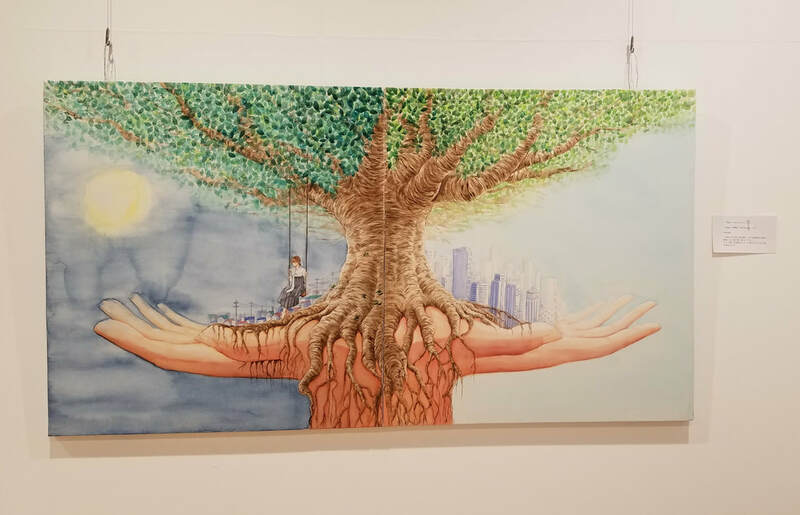 Mayor Toshihito Kumagai, who attended the exhibition, spotted two pieces of artwork by high school students of Korean ancestry. 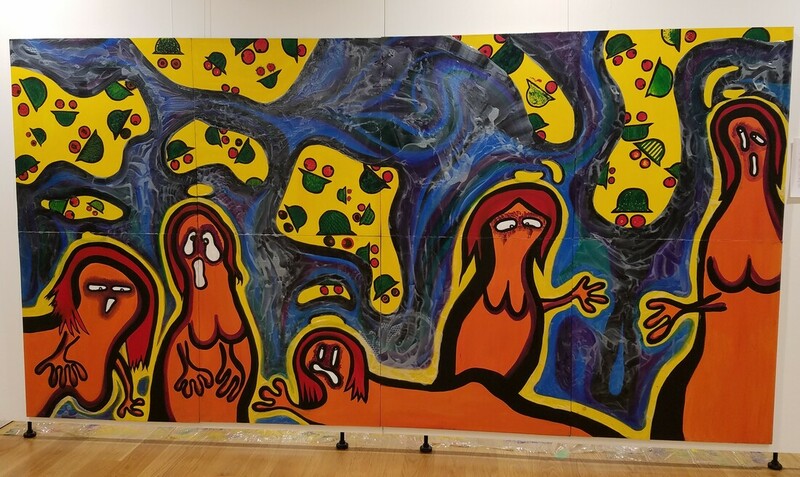 Student Yun-Soo Jo’s artwork expressed her opposition to the 2015 “comfort women” agreement between the Republic of Korea and Japan, while student Ae-Hyang Kang’s piece expressed sympathy for the victims and survivors of Japanese military sexual slavery. Because these two pieces of student artwork expressed objection to the Japanese government’s position regarding “comfort women” issues, Mayor Kumagai announced on April 27, 2017 his decision to cut the funding of 500,000 JYP (around 4,757 USD in 2017) to Chiba Korean Elementary Middle School, which had organized the exhibition with that fund. ESJF raised a fund of 5,000 USD to make up for the lost funding in summer 2017. Due to lack of funding from the city and government, Korean schools in Japan experience enormous financial hardships. In fact, a team of three to four unmarried teachers usually share a small room so that they can survive on the insufficient salaries that Korean schools can afford to pay. Regardless of financial hardship and discriminations, teachers, students, and parents are united to pursue education in Korean, incorporating important values such as justice, pride, and empathy. ESJF has been supporting this school since the summer of 2017. If you’d like to make a donation, please send us a check and indicate that your donation is for the Chiba School. Thank you for your support. Your help, no matter the capacity, makes a huge impact. “Girls under twenty years of age were taken by the imperialistic colonialists as military sexual slaves. The girls became the subject of sexual violence and toys of the military. Their dignity as Koreans and as women was trampled. They are lonely victims whose voices don’t carry much weight, even seventy years after the war has ended. On December 28, 2015, without consulting the survivors, the Japanese government gave 1 billion JPY to Republic of Korea under the condition that Republic of Korea remove the “Statue of Girl” installed across from the Japanese Embassy in Seoul. The deal made by the two countries was supposedly “final and irreversible,” indicating the Japanese colonial crimes committed towards Korea could no longer be discussed.